Broken Hearts and Bankrolls isn’t a revolutionary album by any means. It won’t change the rap game. It doesn’t really bering anything new to the genre. But at the same time that level these (incredibly common) complaints, I couldn’t help but find myself enjoying it over and over again. It is rare, but highly appreciated when I find an album without any tracks that I dislike. It’s why I like short albums so much. Half upbeat anthem rap and half ice-cold chill music, Broken Hearts strikes a nice middle ground between bangers and easy listening. Smooth synths and tight beats support the solid vocals from the back. They don’t stick out at first, but on my repeat listens, the beats quickly became my favorite part of the album. “Sugar” should have been a cheesy song about women instead became complex and relaxing, even if the vocals are somewhat sub-par. The foundations of this album are incredibly strong, but they built a really short building on top of them. “Side Weights” and “Dumb Playing” also stand at the top of the record with easy, but punchy chooses that worm their way into the back of your head, demanding attempts to rap along as you drive. It is where the album truly succeeds. It knows exactly what it is and embraces it, allowing the sound to flourish. By no means is this a groundbreaking or revolutionary record, and for once it doesn’t act like it. 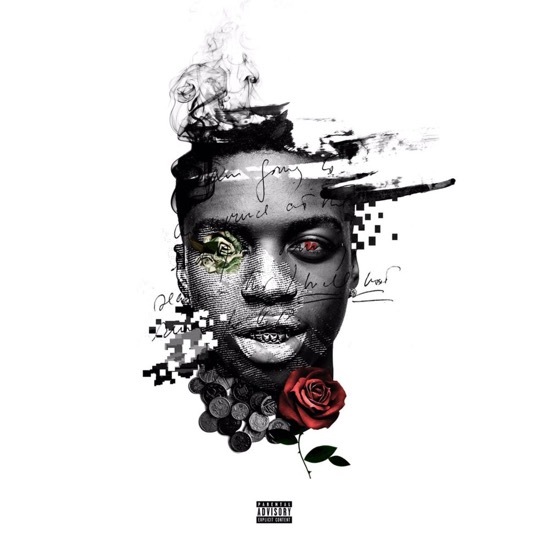 If IshDARR had better lyrics this would easily be one of my top albums of the year so far.